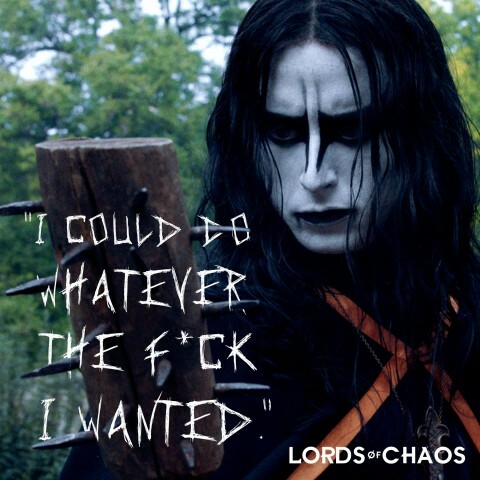 In the run-up to the premiere of the film "Lords of Chaos" about the early Norwegian black metal scene, a trailer and a clip from the movie surfaced online. In the short 30-second scene, Euronymous (Rory Culkin) and his friends make fun of Varg’s (Emory Cohen) real name, Kristian, and his refusal to drink alcohol. You can watch the excerpt at the bottom of the page. The film was directed by Jonas Åkerlund, known as Bathory’s co-founder and director of videos for The Prodigy, Ozzy Osbourne, Metallica, Rammstein, etc. The movie will be shown in cinemas on February 8, 2019 (on demand February 22). The short storyline of the movie is: "A teenager's quest to launch Norwegian Black Metal in Oslo in the 1980s results in a very violent outcome". The premiere of the film took place on January 23, 2018, at the Sundance Film Festival, the independent film festival in the United States. 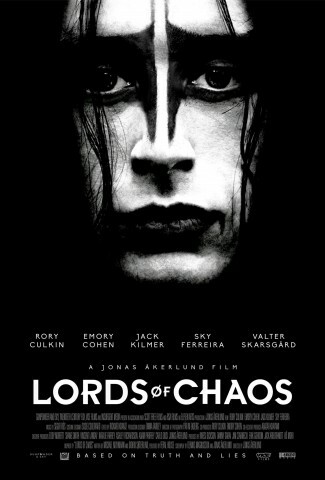 "Lords of Chaos" stars Rory Culkin and Emory Cohen in the roles of Euronymous and Varg Vikernes respectively. Jack Kilmer, Anthony De La Torre, and Jonathan Barnwell appear as Per 'Dead' Ohlin, Hellhammer, and Necrobutcher of the band Mayhem. The cast also includes Sky Ferreira and Valter Skarsgård, the brother of Bill Skarsgård ("It"). 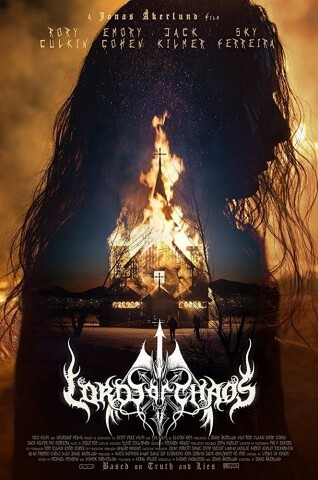 "Lords of Chaos" is based on the book "Lords of Chaos: The Bloody Rise of the Satanic Metal Underground" written by the American journalist Michael Moynihan and his Norwegian counterpart Didrik Søderlind. The book, which tells about the origin of Norwegian black metal, focuses on the string of church burnings and murders that occurred in the country in the early 90's. "Lords of Chaos: The Bloody Rise of the Satanic Metal Underground" was first published in 1998 and then reissued in 2003. The book received mixed reviews of critics. The musician Varg Vikernes criticized the work of Moynihan and Søderlind, saying that "have no insight into or even good knowledge about the subjects discussed" and that they "haven't even managed to figure out what Black Metal was all about" and advised readers not to buy a book. In 2016, speaking of Åkerlund’s upcoming film, Vikernes stressed that the filmmakers did not talk with "anybody who had anything to do with the theme". 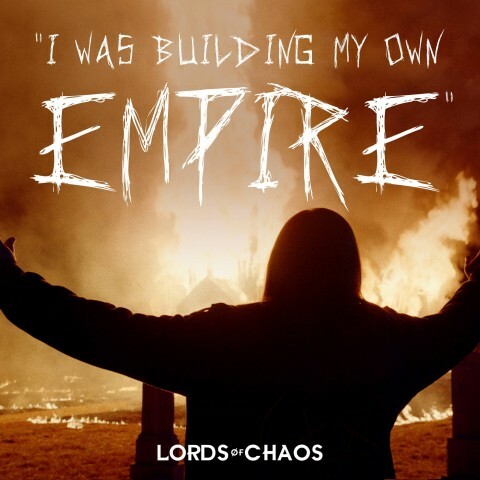 Also the musician said that neither he, nor Mayhem, nor Darkthrone, had given permission to use their music in "Lords of Chaos". A few year ago, the same story has also happened with the creators of "Jimi: All Is by My Side" movie, when rights holders banned the use of Jimi Hendrix’ songs in the film.